I have been seeing a few people unsure what to do when they lose or forget their root password. Some are resorting to reinstalling their server thinking this is the only option, however there is another option with Rimuhosting. 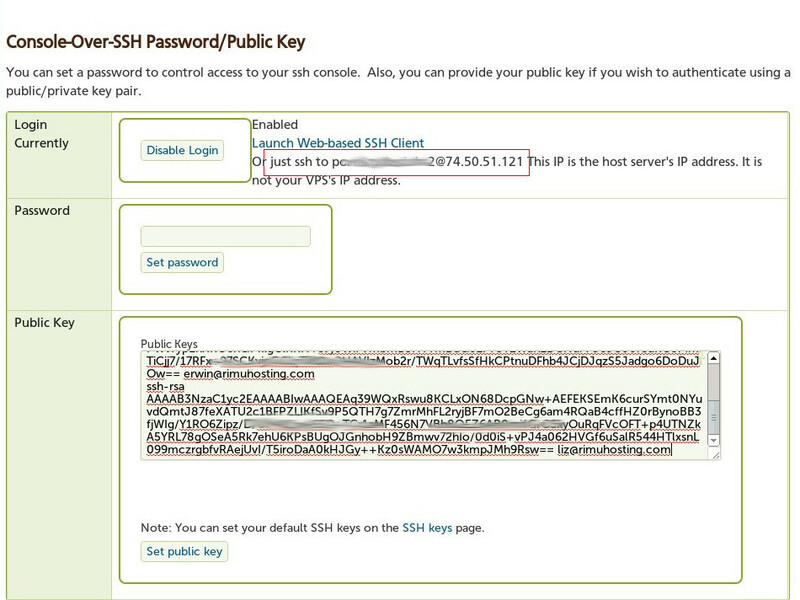 Once you have set the password, or added your SSH key, you can connect to that SSH, and that will access your VPS via the host server itself. 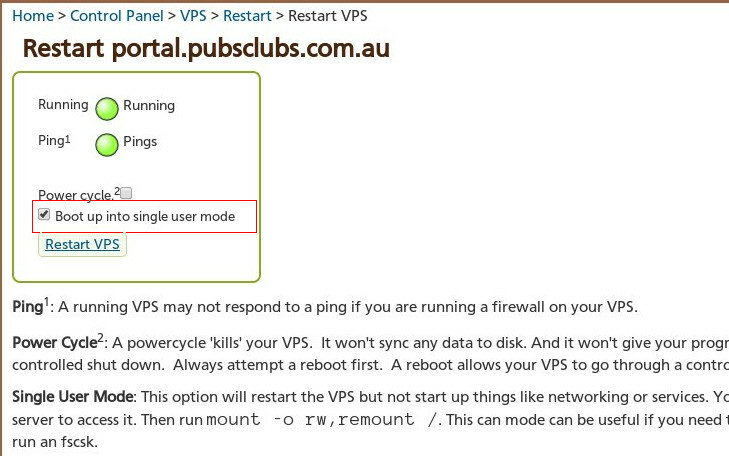 This allows you to boot the server into single user mode, or fix things that break. Now you have access to the console, you need to reboot the server into single user mode. 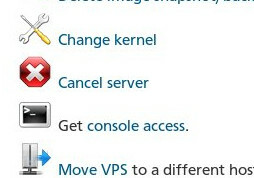 You can do this via the control panel page again under the reboot option. 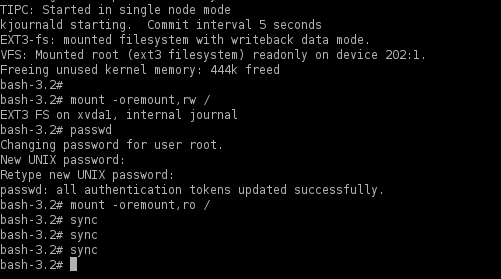 So now you have a full root console to do as you like, you just need to mount that read/write and change the password. This is how i did that in this case. Then i changed the password using passwd. You can check any other things on the server at the same time, particularly if its been hacked. Just be aware you have no networking at this time. The final commands were to remount the hdd read-only again and sync, neither of which is strictly necessary, it just makes sure the hdd has finished being written too before rebooting. So once the password is reset, finally you can then just reboot the server normally, not into single usermode, and connect with SSH and the new password. If for any reason you have a problem with any of this, just let us know, we can do that for you. This entry was posted in HOWTO, Rimuhosting and tagged passwd, password, reset, root. Bookmark the permalink.